If you've been looking to make your home a little more smart, you know how expensive it can be. You've got to get a hub, and then you need bulbs for every light fixture in your house. It's cost on cost on cost on cost. Plus, you have tow worry about whether it fits the system you already have in place. Swedish home furniture maker IKEA, however, wants to make it a little more affordable and easy to use. 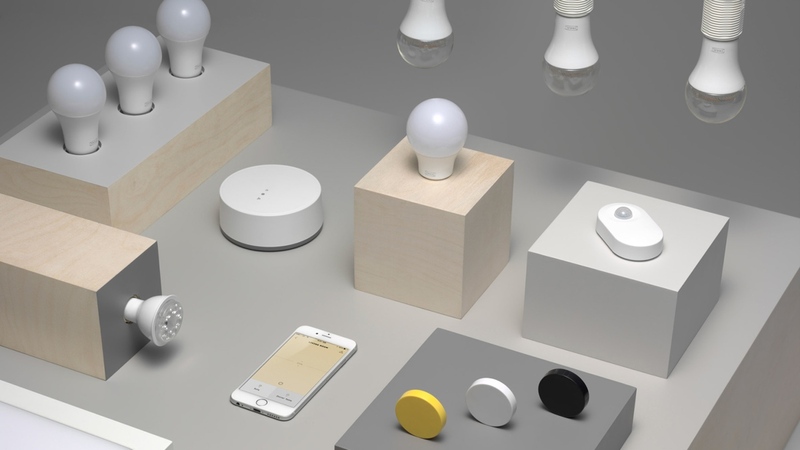 It's announced the Trådfi (it means wireless in Swedish) 'Home Smart' collection. The goal is to make smart home systems as accessible and as affordable as possible, and Ikea has now announced its devices will work with Alexa, HomeKit and Google Home starting later this year. It all starts with the Gateway Kit, which features two white spectrum LED bulbs, a remote control and a gateway that links them all up. There's also a Trådfi app that lets you control and pre-set light configurations. Each of these will cost $79. Then there are the dimming and wireless motion sensing kits, which do exactly what they say. The dimming kit is just an LED dimming bulb with a remote control while the motion sensing kit is an LED bulb with a motion-sensing device. They'll cost you $29 and $24 each, respectively. If that's a little too pricey there's the more affordable $19 warm white dimming kit, which is a dimming LED bulb and a cute yellow puck. If this awkward video is to be believed, you can simply rotate the puck to dim the lights. It uses magnets, which is pretty neat. And finally, there's a trio of light doors and panels. There's the Surte and Jormien light doors, which take advantage of IKEA's extensive furniture collection. The Surtes are compatible with Bestå cabinets while the Jormiens are compatible with the Metod kitchen collection. Then there's Floalt, light panels of three sizes that you can hang up on your wall. The Trådfi smart home collection started rolling out to the UK and US in April. In the fall, the Trådfi app will be updated with "away from home" functions that'll allow you to control and manage your lights remotely in addition to Alexa, HomeKit and Google Home support. The largest barrier to entry for smart home systems is price. The second largest is trying to fit it into your established system, If IKEA can deliver a manageable, solid system at these low prices it could help lift the entire smart home sector. We'll let you know what we think as soon as we get our hands on them.